"Kevin Shields has just told the crowd at an MBV warm-up show to expect a new My Bloody Valentine album in “two to three days.” DAYS." "At My Bloody Valentine in Brixton. 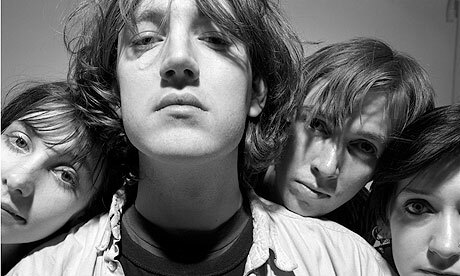 Kevin Shields said from the stage the new album ‘might be out in two our three days’"
I guess we'll just have to wait and see. Desert Island Songs – The Tragically Hip "Nautical Disaster"
Happy Birthday Tommy Ramone of The Ramones! Mick Hucknall + Stereophonics = The Beatles? "Ever get the feeling you've been cheated?,"
January the 2nd 2013…what happened to the 1st?